Have you ever felt like this … that there have been moments along the way that everything — dreams, hopes and desires — seemed so far off in the distance, that it felt hopeless? That’s how Rebekkah felt when we first me 2 years ago. You wouldn’t know it now because she’s no longer struggling to keep her head above water. It all seemed to start about 4 years before Rebekkah found her way to me. In truth, it had been a lifelong journey of trial and error, struggle, feast and famine for her. You see, for Rebekkah, it had been a very long road to this point. She was exhausted on every level and that place of being at a fork in the road … she wasn’t sure she could ever have what she really wanted, what had been given to her in visions, guidance and during sleep-time dreams. She had been told by so many that what she was doing and giving was really making a difference in the world and in the lives of the people she touched. Rebekkah had a hard time with people saying this to her because she was struggling to the point that she felt like she was slowly dying inside and she didn’t know how to end the cycle. Being authentic and in integrity meant everything to her. Where had she gone so wrong to find herself in such a messy, dirty, dark place? What was her Spiritual Path really all about and how in the world was she going to ‘get there’ from where she was? This beautiful Soul had been such a bright light of hope for others. Somewhere along the way, she lost sight of her value and worth. She got tangled up in what she felt she was supposed to be doing, and more importantly allowed herself to be talked out of what she knew, deep within, she was here to do. Rebekkah was more than willing to do things differently; SHE JUST KNEW it was time to pursue her deep-seated beliefs about being a Sensitive Spiritual Entrepreneur and making the kind of money she knew to be possible, if she just knew how to get out of her own way. The kicker was, Rebekkah was already helping others clear their negative beliefs and manifesting their dreams. This only made it more frustrating for her. She was so in her own ‘stuff’ she couldn’t see where she was stopping and blocking her own prosperity. That’s exactly what we did together one step-at-a-time. We peeled back the layers of hurt, feelings of betrayal, disappointment and frustration. *Obstacles were dissolved, opening multiple channels of receiving her good. Fast forwarding to the present moment, this beautiful Soul now radiates confidence and believes in herself with an unshakeable knowing, of who she is and what she came here to do. Rebekkah is well on her way to achieving her dreams in ways she didn’t feel or believe were possible for her less than 18 months earlier. Yes, like everyone else, she experiences doubt and fear from time-to-time. The difference is, the techniques and tools at her fingertips and in her Sensitive Spiritual Entrepreneurs’ tool box, through her studies in the Academy of Metaphysics, are the key ingredients that enable Rebekkah to keep moving forward every day. Want what Rebekkah has? Join us for Expanding Your Conscious Awareness Workshop. Tap this link to learn more today … it can, literally change your life … are you ready? How much love, joy, harmony and conscious awareness, getting the clarity you really need. Want and deserve to have, are YOU willing to allow into your life beautiful Soul? PS … Ready for my help NOW … want to become an Academy of Metaphysics Certified Master Teacher? Hit ‘reply’ … let’s talk. Or … tap here to complete an Application for a complimentary consultation and let’s chat about this being the right ‘fit’ for you and your Spiritual Business Building. BUT You won’t be paying THAT much! Yet fully developed — BUT — it can be! Raise Your Vibe to Discover, Develop, Enhance and Empower Your Intuitive Gifts at the Next Higher Level. Tapping into Your Intuitive Gifts, Skills and Psychic Powers Provides You with CrystalClearConnection ™ to Guidance for Your Purpose. 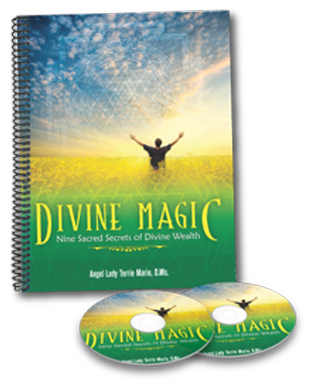 Enjoy Unlimited Access to Divine Source, Angels, Spirit and Your Personal Higher-Power. Gain a Deeper Understanding of Energy and How Energy Works with You and for You. On October 18th and 25th, I’ll be your personal guide on HOW to Lift the Veil between the physical and Spiritual so you can get a clearer connection using your intuitive and psychic skills and gifts. Your Aura, did you know it changes? It’s true … you probably already knew … depending on your ‘mood’ or the energy you’ve just ‘walked’ through has a direct effect on your Aura! Well, we’re going to be into how to see and sense the colors or your Aura and how to see other peoples’ Aura’s too. … easier than it seems. It is easier than you have been led to believe. There are complicated ways to get the guidance you want …. Then there are simple, easy to use ways to recognize and trust what you get. Going within … this is where the Magick is found … within your intuitive and psychic skills and gifts. When you have direct access you get to connect to Spirit and the very Angels that are by your side, waiting to give you the Keys to Unlocking your full potential. 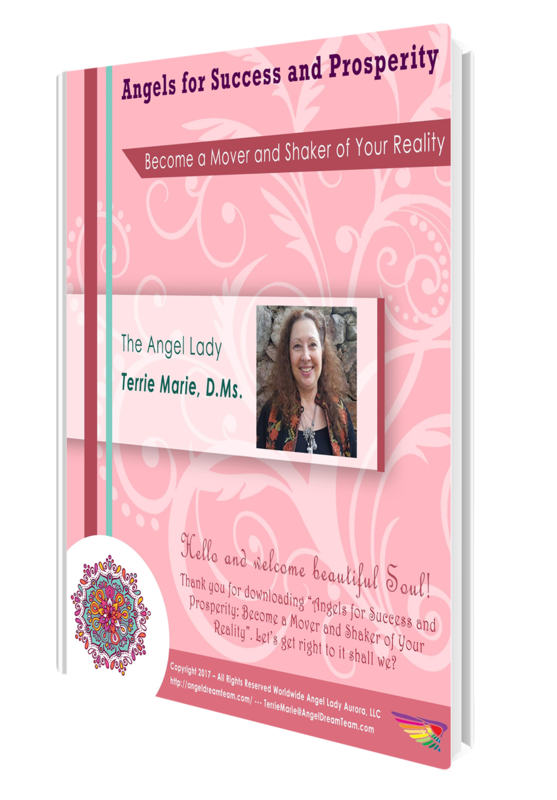 On October 18th and 25th, Angel Lady Terrie Marie will be your personal guide on HOW to Lift the Veil between the physical and Spiritual so you can get a clearer connection using your intuitive and psychic skills and gifts. What is Lifting the Veil? Have you heard that before? Lifting the Veil? It’s like there’s this energy barrier or filter between the Spiritual Realm and our physical energy. Getting past it, Lifting the Veil, is really all about being able to reach through it no matter what is happening in your life. It’s about having a direct channel to your intuitive and psychic skills and abilities. It all starts with being able to having a crystal clear connection to your Higher-Power, that special connection that is within you. No matter if you’re just getting started or you’ve been on your Spiritual Path for a while, there’s always ‘room’ for a clearer connection. Everyone at one time r another, needs and wants guidance that is just for them and what better way to get that than to be be ae to tap into that special, customized channel that has been created just for you from your Angels and Spirit? Your dreams, opportunities, guidance … your purpose for being here … the people you are meant to be serving … the way in which you, and only you, can make a difference in this world. Let’s face it, things are getting kinda snarky out there … or that’s what SOME would have us think! The truth is … and yes, some things are more ‘snarky’ … there’s so much available 24/7 these days that it’s beyond necessary to know how and what to do so that you can take a much BIGGER LEAP from where you currently are to where you are meant and know you can be. THIS is what Portal Two: Deepen Your Connection with Divine Source is really about … it’s about getting your connection channels cleared out AND how to keep them clear no matter what is happening within and around you. Time is running out beautiful Soul .. hate saying that, I really do. It needs to be said! This starts in just a few days … so do what you need to do, and get on board before this too leaves. Will it be back round again? Yes. And when it is, it will be higher … so get in on the savings now. You’ll really be glad you did. It’s time to take Your Life to the Next Level of Fulfillment, Contentment, Harmony and Joy, Prosperity and Abundance …..